Not just any rice cooker will work for this. 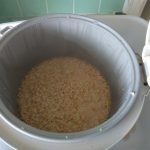 The rice cooker needs to have a very large capacity, as the oats will probably overflow. 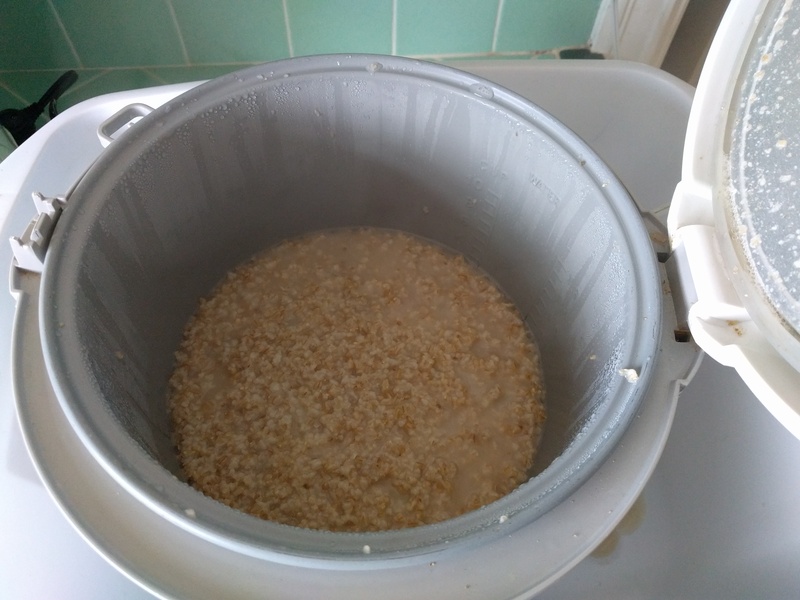 Mine has a 10 cup capacity (uncooked rice), and even though I only put in one cup of oats, it still overflows regularly. 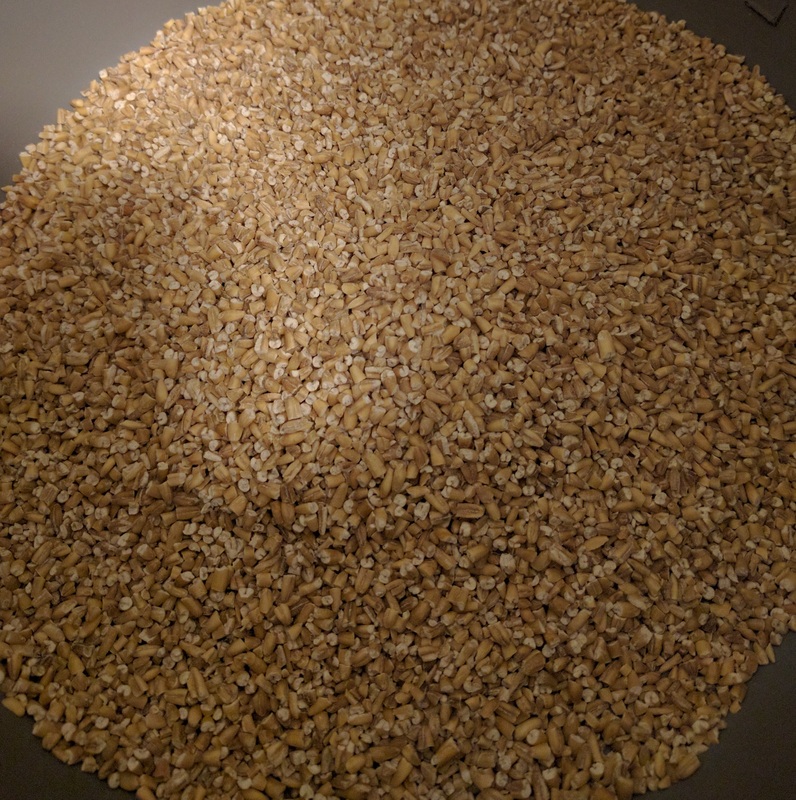 Also, a helpful feature is to have an electronic timer, so you can put the oats and water in when you go to bed, and have it cook them in the morning just in time for you to eat breakfast. My rice cooker is an older model, but the Aroma ARC-150SB appears to be the same size and with similar features. 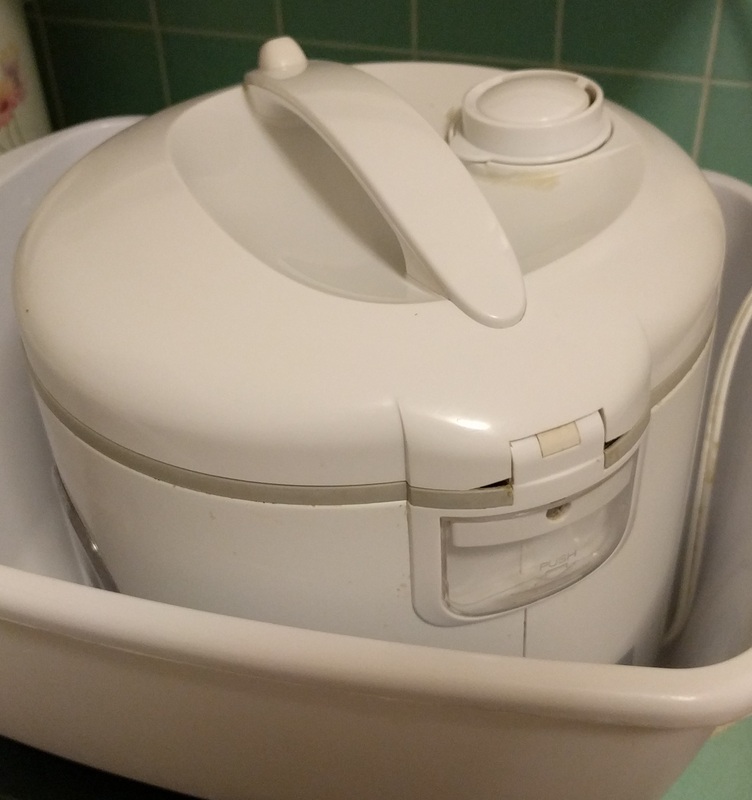 The rice cooker does get messy with the overflow, so I put the rice cooker in an otherwise empty wash basin for easy cleanup. 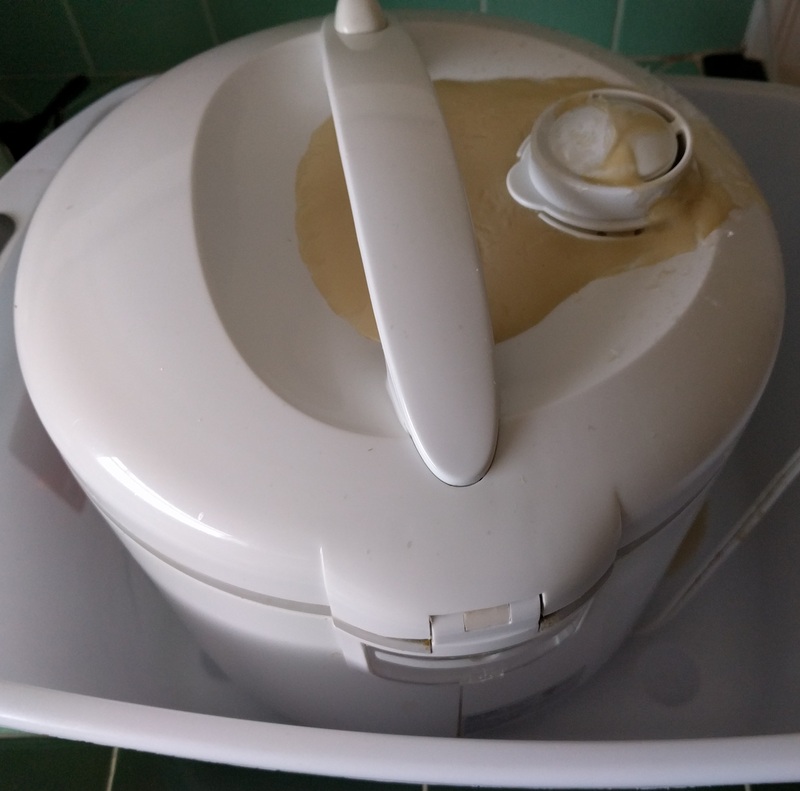 It doesn’t seem to hurt the rice cooker to have this happen, but your mileage may vary. 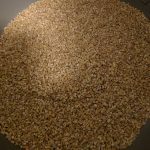 I recommend steel-cut oats (also called pinhead oats, coarse oatmeal, or Irish oatmeal) rather than the more common rolled oats. 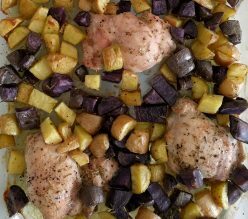 They take longer to cook, but are more chewy and flavorful, and have a slightly lower glycemic index. Rice cooker, at least 10 cup (uncooked rice) capacity, preferably with electronic delay timer. 1 cup steel-cut oats. 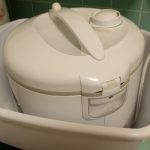 Avoid the quick cook version, since the rice cooker will do the work for you while you sleep. 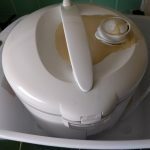 Wash basin to contain the mess if the rice cooker overflows. Flavorings: Raisins or blueberries*, cinnamon, sugar (if you must), milk, etc. as desired. In the morning, dish out one bowl of oats to eat. I find this makes about 3 servings, so I put the rest into the fridge in two microwaveable dishes. Add whatever flavorings you desire. I usually use raisins, cinnamon, and vanilla flavored rice milk. 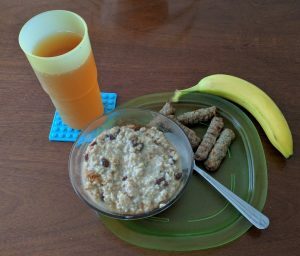 Serve with some protein (I prefer chicken-apple breakfast sausages), fruit (such as a banana), and beverage (iced tea in my case). Over the course of the next two days, I heat up the extra oats in the microwave for about two minutes, then add the flavorings. * An alternative to raisins would be blueberries. I find if you put frozen blueberries in the hot oats, they thaw enough to be enjoyed. If microwaving the leftovers, put in the frozen berries before heating.